Blog Quick Quotes: July Club Q Inspiration with June! 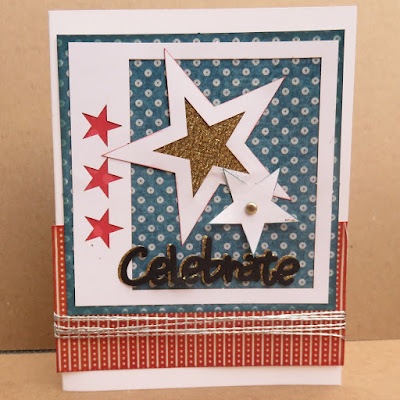 July Club Q Inspiration with June! 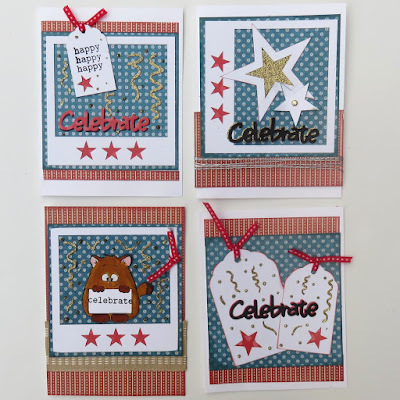 Today I have four Red, White and Blue cards bursting with fun and created with July's Club Q Altered Project kit! 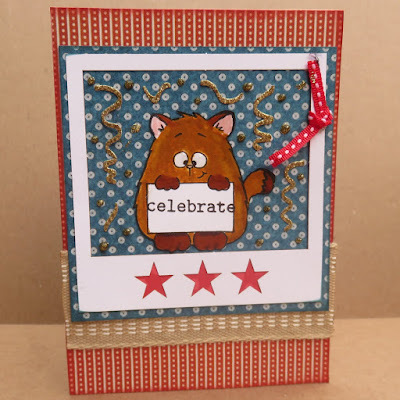 This kit is designed to make a cute wall hanging, but I decided to make cards instead. These cards are also very versatile. 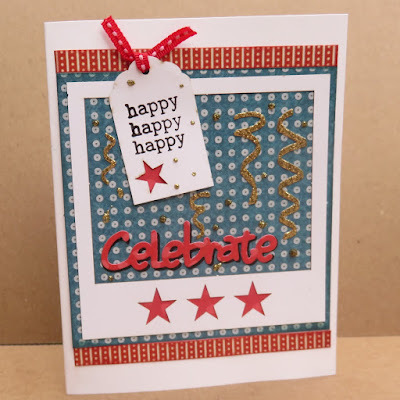 With the celebrate sentiment and great color scheme, you can use them for birthdays, anniversaries or any occasion you celebrate! It was easy to make these cards as most of the pieces are pre-cut. All of the the pattern papers, chipboard stars, star frames, tags and brads come with the Club Q kit. 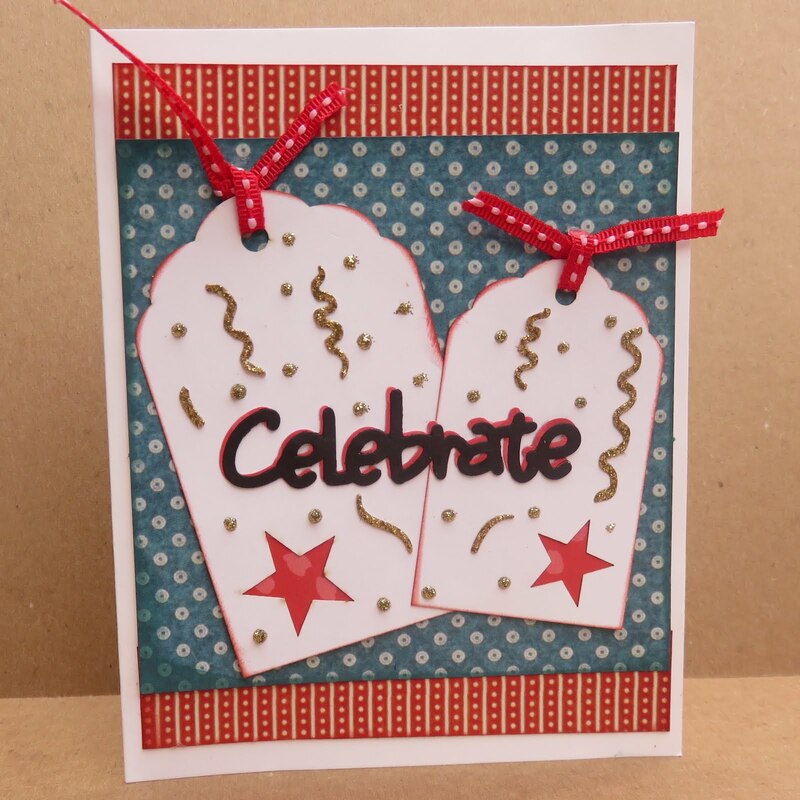 I just added a white card base, silver thread, gold glitter paper and "celebrate" diecut. All of the pattern papers were edged with Barn Board or Capri Blue PowderPuff Chalking Inks. 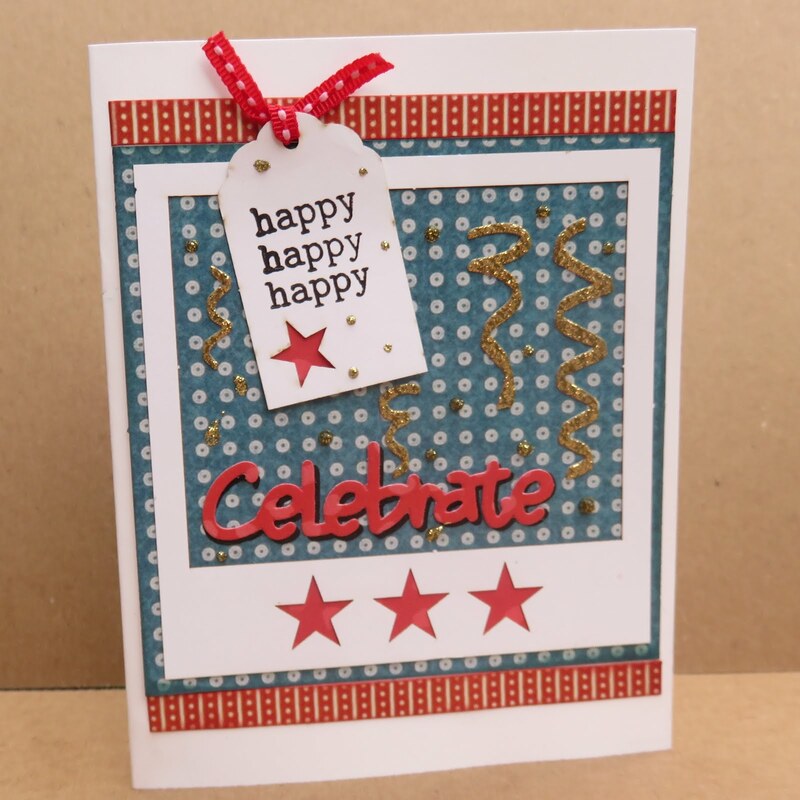 For this card, I only added the card base, sentiment and gold confetti diecuts and "happy" stamp. Everything else is included in the kit. Don't you just love that cute, little starred tag? For this card I only added the card base, cat stamp and gold confetti. Even the wide tan ribbon is in the Club Q kit. For this last card, I used the fun Club Q star tags and just added a card base, sentiment diecut and gold confetti.